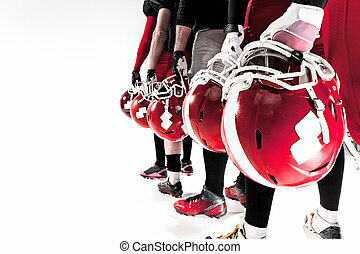 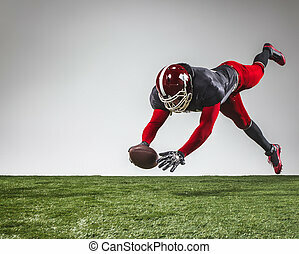 The american football players in action in stadium. 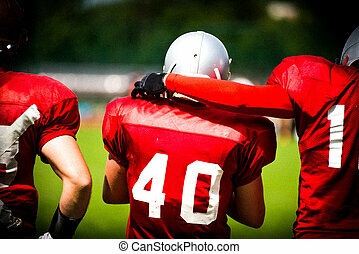 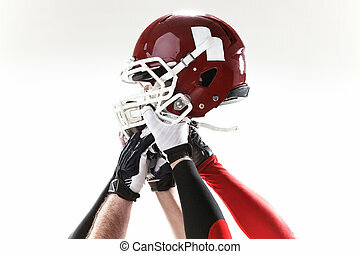 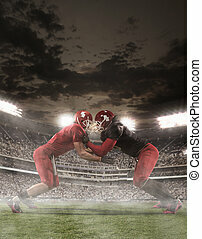 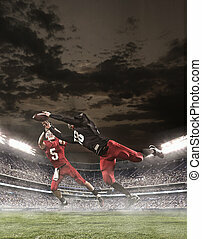 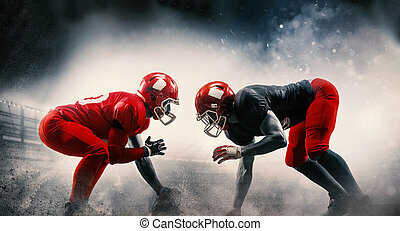 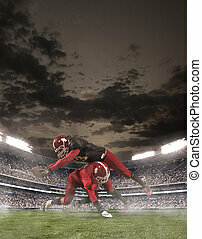 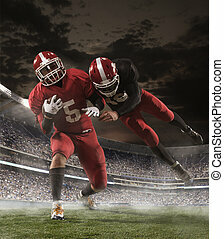 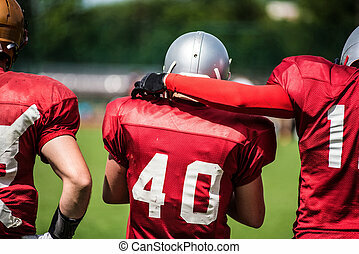 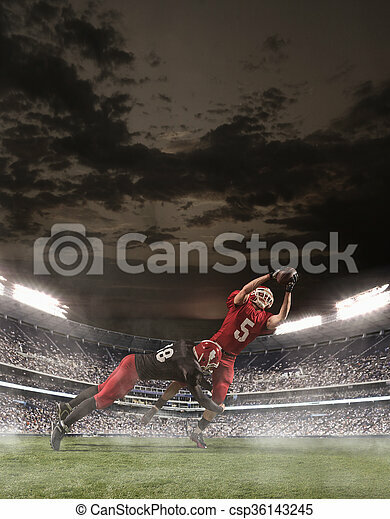 The two american football players in action on green grass and gray background. 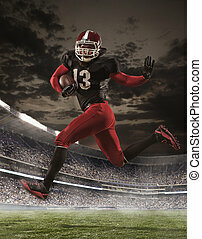 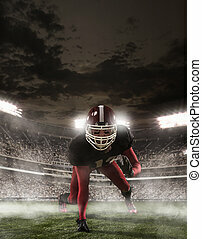 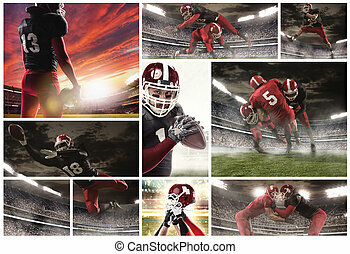 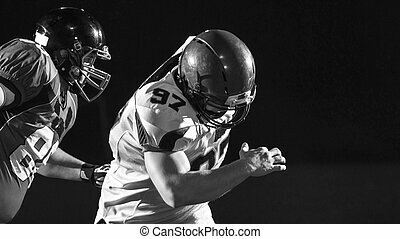 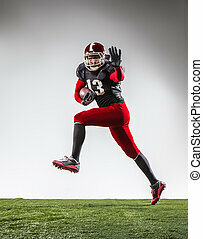 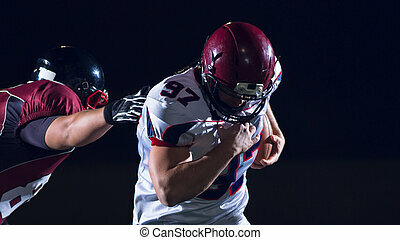 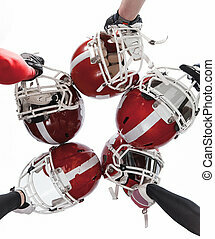 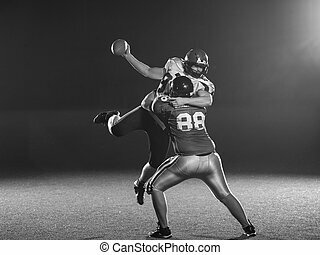 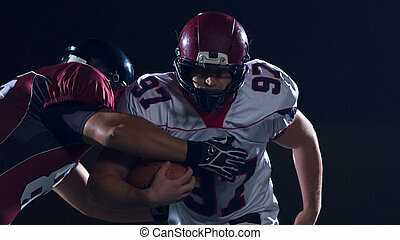 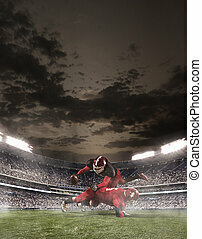 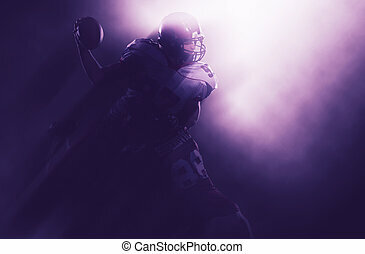 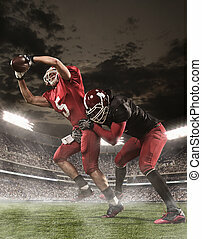 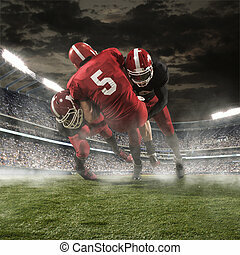 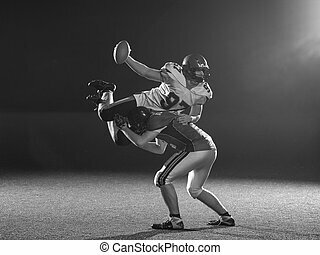 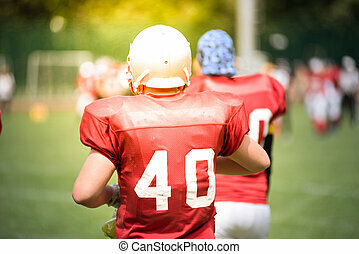 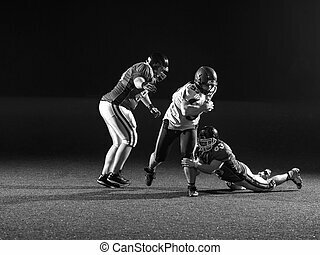 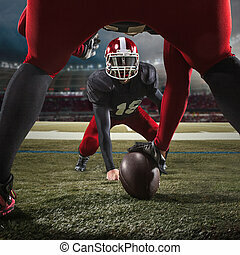 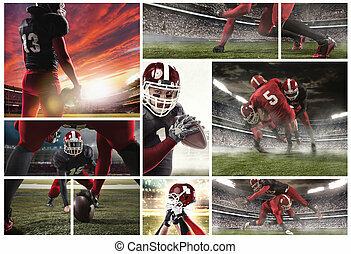 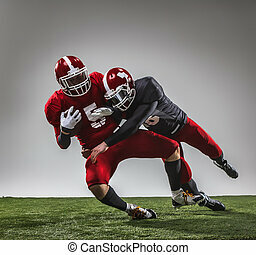 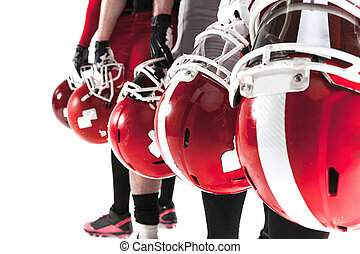 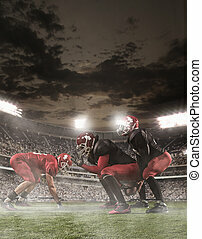 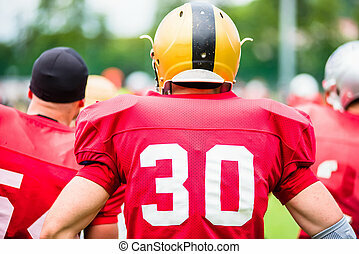 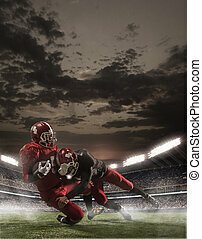 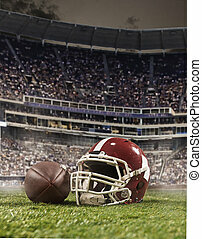 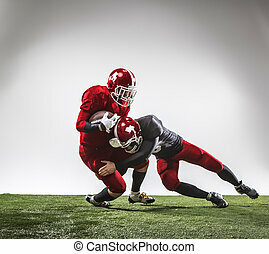 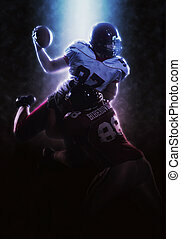 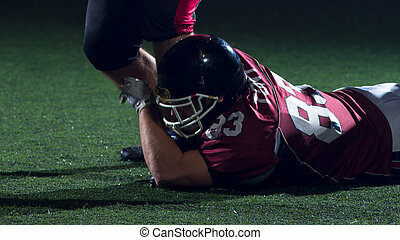 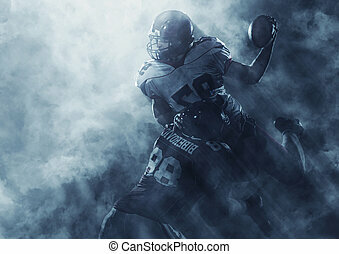 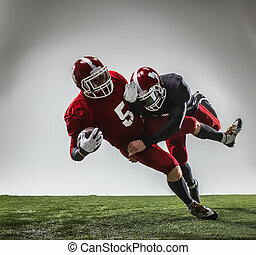 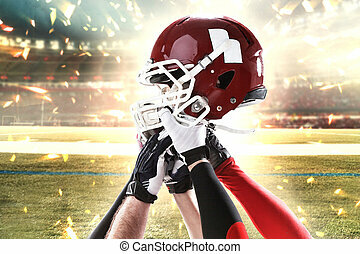 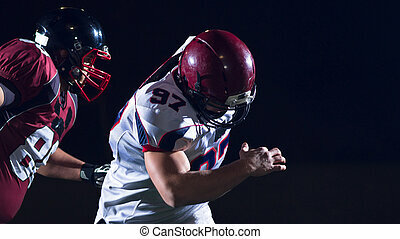 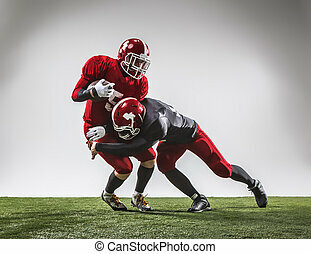 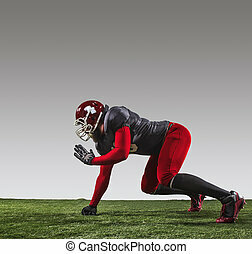 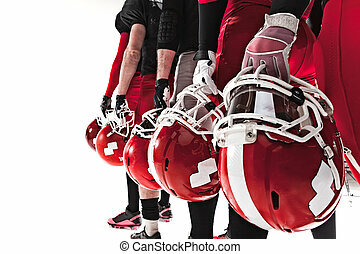 The american football player in action on green grass and gray background.